Who doesn't want a 41MP cameraphone? 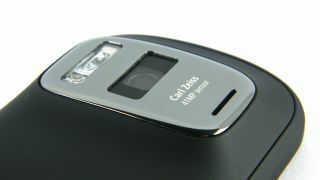 The Nokia EOS is set to be the first Windows Phone 8 handset to sport the Finnish firm's impressive PureView camera technology. Last year Nokia launched the ridiculous 41MP toting 808 PureView at MWC 2012 and according to The Verge it's up to its camera tricks again, this time in the form of the EOS. A source "familiar with Nokia's plans" claims that the codenamed EOS will pack a camera similar to the one found in the 808 PureView – suggesting it also sports a 41MP sensor. Apparently Nokia will ditch its recent polycarbonate love affair in favour of aluminium on the EOS, which if true will give the handset a really premium look and feel. But that's not all according to a My Nokia Blog source going by the name "Flavio" (sounds legit right?) who's said Nokia is prepping six new smartphones for a MWC 2013 unveiling. Flavio reckons there will be a Nokia Lumia 920 at the show kitted out with a 41MP camera, which would fall in line with the EOS rumours we've seen over at The Verge. There's no official word from Nokia on its plans for the show in Barcelona at the end of February and the sources quoted in these reports are far from reliable, but we do expect to see something from the Finnish firm while we're there.